Part area and part fitness course, Vista Village has everything you need to help promote healthy play. Its elevated area has all the excitement of a traditional play system, complete with slides, climbers, and activities. The Inverted Arch Ladder and Fan Ladder offer traditional ways to climb, with straight metal rungs. For easier ways up, they can use the Transfer Station or Pebble Climber step. 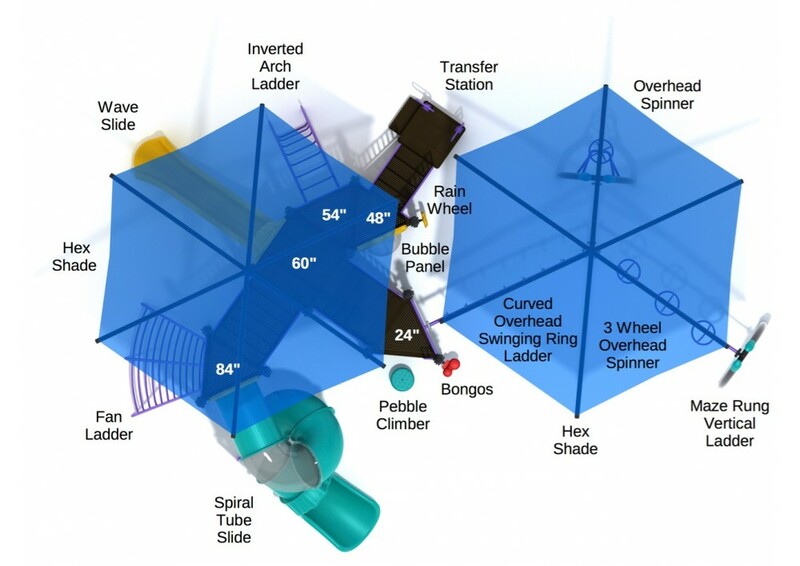 There are even two excellent slides: a 5-foot Wave Slide and a massive 7-foot Spiral Tube Slide, which has transparent sections for visibility. But what makes Vista Village unique is that in addition to all of these things, it also has a collection of overhead activities on the ground, which challenge and improve kids’ upper body strength. Kids can climb the Maze Rung Vertical Ladder, spin across the 3 Wheel Overhead Spinner, swing past the Curved Overhead Swinging Ring Ladder to reach the main play structure. Or, if they prefer, they can just spin in place on the single Overhead Spinner. The whole structure is covered by shades to protect kids from excessive sun while they play. Part area and part fitness course, Vista Village has everything you need to help promote healthy play. 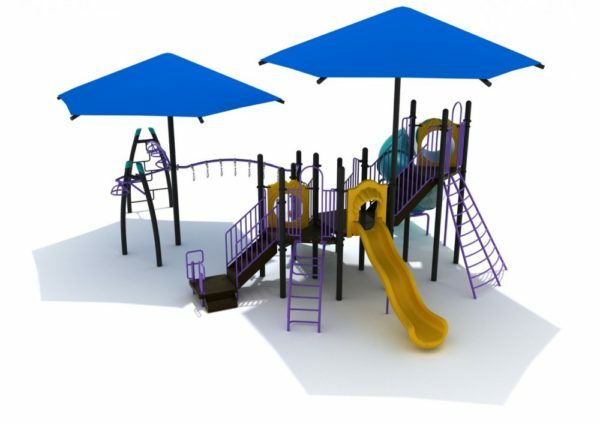 Its elevated area has all the excitement of a traditional play system, complete with slides, climbers, and activities. 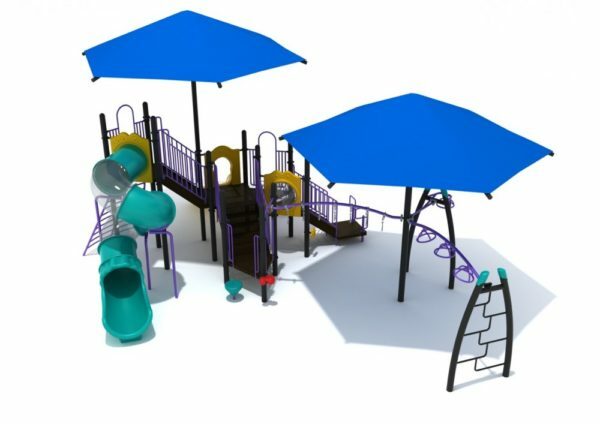 Play Set Dimensions –26' x 30'5"
Critical Fall Height – 96"